Professor Einstein rolls his eyes, sticks out his tongue, and can give a simple explanation of the theory of relativity. With his lifelike rubbery “skin” and bushy mustache, he can almost make you forget he’s a robot. The Einstein robot is among dozens roaming the Consumer Electronics Show in Las Vegas that can be your companion, educator or babysit your children. 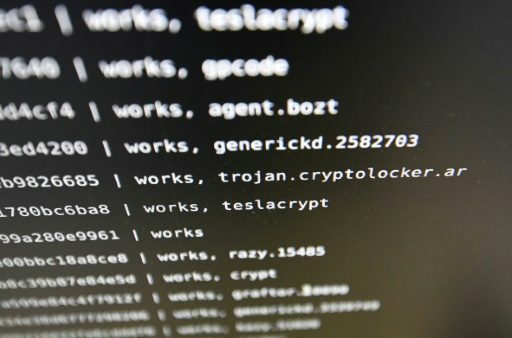 While robots have been around for years, advances in technology and artificial intelligence have allowed developers to give them traits that enable the devices to be seen as members of the family. “We make robots that have personality and come to life,” said Andy Rifkin, chief technology officer of Hanson Robotics, the Hong Kong-based firm which is bringing the $299 Einstein robot to consumers this year. Einstein is the first commercial product from Hanson, which became known for producing humanoid robots like the flirtatious “Sophia,” which has life-like facial and eye expressions and can converse through cloud-based artificial intelligence. Einstein, which is knee-high and responds to voice commands, can help kids with their homework, play games and answer questions about math and science. “This is different from other robots,” said Rifkin, who noted that the “emotional bond” can be an important element in helping kids learn. Most other robots at CES look like the mechanical objects people expect from science fiction, but many have personality too. 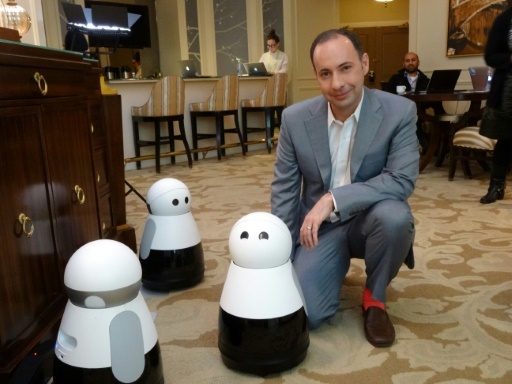 Kuri, a knee-high rolling robot set to hit the US market, is touted as a home companion which can entertain kids and allow users to monitor their homes through a smartphone application. “You have to make an effort to give a robot personality and character, otherwise it’s too cold,” said Mayfield Robotics chief executive Michael Beebe. Mayfield, a 40-person California startup owned by German conglomerate Bosch, plans to deliver Kuri by December for $699 to US consumers. Kuri learns to recognize family members and can notify its owners through a smartphone when a child arrives home. Kuri “speaks only robot”—meaning beeps and bloops, according to Beebe—but also offers a range of emotional expressions by rolling her head and moving her eyes. She can also play music to recorded sound, which Beebe uses to tell the robot to tell his dog to get off the couch. 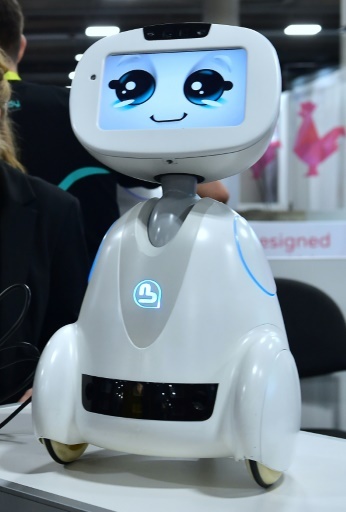 AvatarMind, a robotics firm with offices in China and California, used CES to showcase its soon-to-be-released iPal “social robot” which can play games, converse in natural language, sing songs and monitor home security. A little taller than one meter (3.5 feet), iPal can self-navigate and use its arms while singing or dancing. CEO John Ostrem said the robot—which is being released in China early this year and in the US later in the year—can act as a companion for children or the elderly, and could be used as an assistant for commercial applications for information in shopping malls or hospitals. 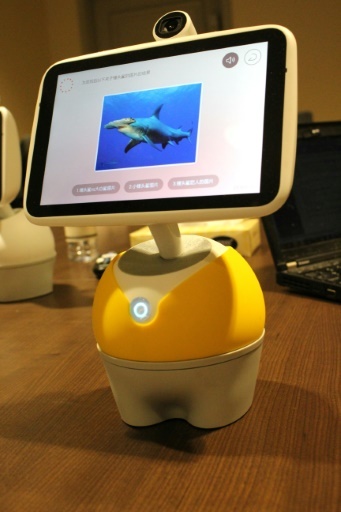 Ostrem said that “an interesting application is for children with special needs,” because it can allow a therapist to care for numerous children with the help of the robot. Chinese startup Roobo meanwhile announced the global launch of its tabletop PuddingBeanQ robot, designed for early child education. The voice-activated robot with a rudimentary electronic face can tell stories and teach children about music, or help learn a second language. 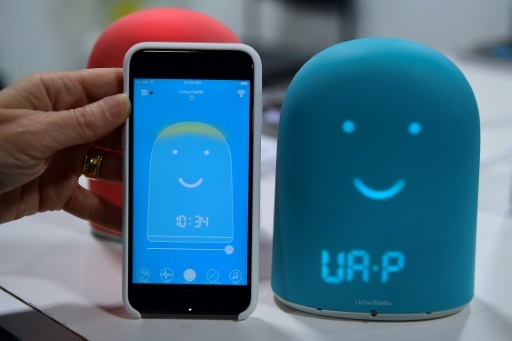 Chen Yi, the vice president of Roobo, said the voice system is better for young children than using a tablet or smartphone. 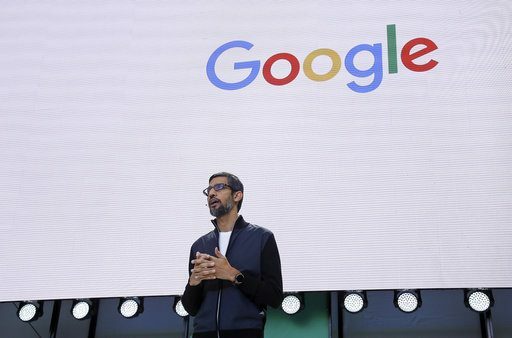 “Parents do not want their children using a smartphone or tablet because of the screen,” he said, adding that the robot’s screen filters out harmful blue light. Also at the show was a chess-playing robot—one which picks up the pieces and moves them—from Taiwan’s Industrial Technology Research Institute. The robot can also pour perfect cups of coffee. Japan’s Softbank Robotics meanwhile announced a partnership that will allow its humanoid robot Pepper to travel onboard SNCF trains in France to assist travelers. Beebe said consumers are ready for these kinds of robots in homes and business. “As a kid we’ve always wanted to have a robot and now we have one,” he said. Hanson Robotics founder David Hanson said these new robots are delivering new kinds of human-computer experiences. “We’ve always used animated movies and fiction and these are good for kids,” Hanson said.